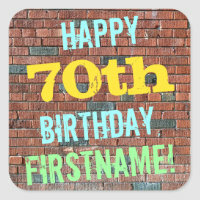 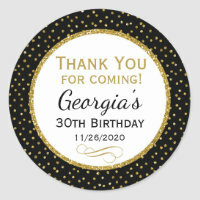 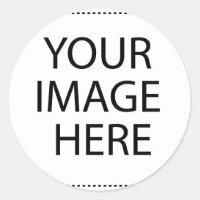 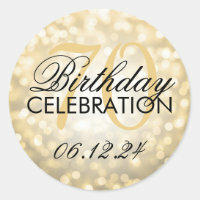 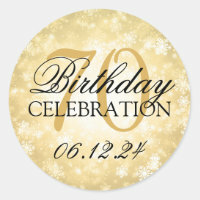 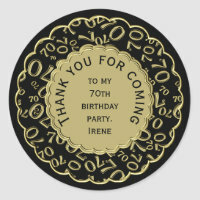 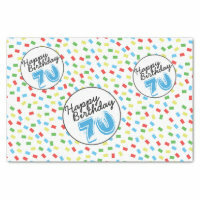 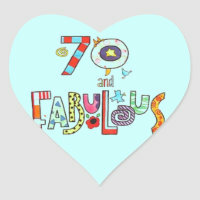 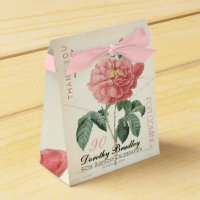 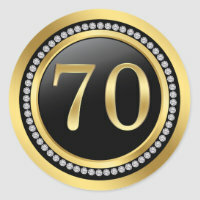 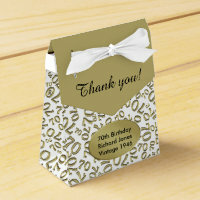 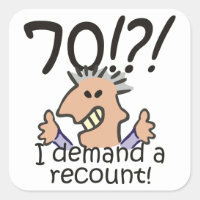 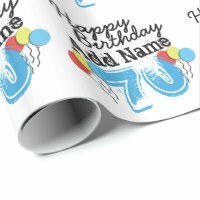 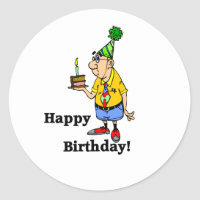 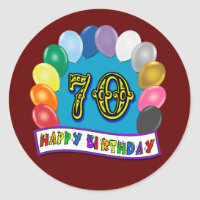 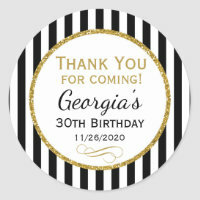 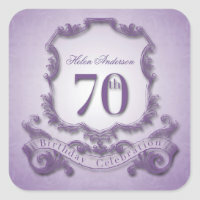 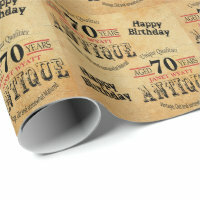 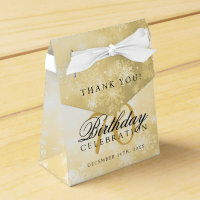 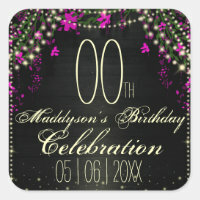 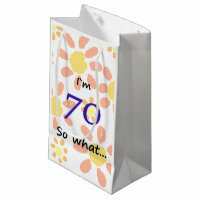 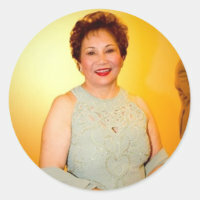 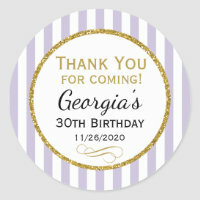 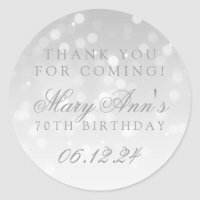 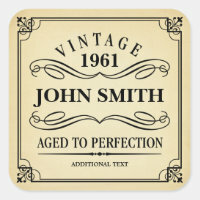 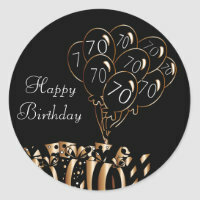 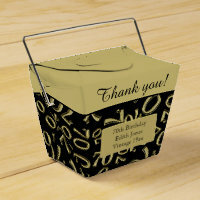 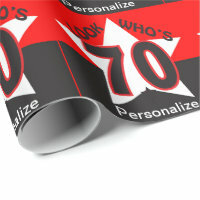 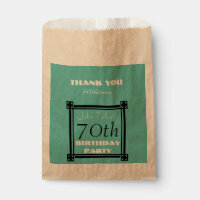 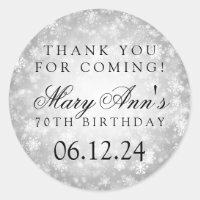 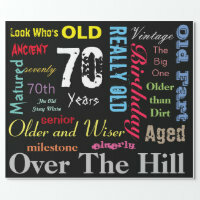 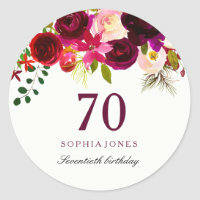 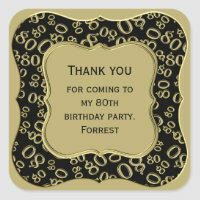 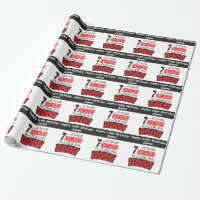 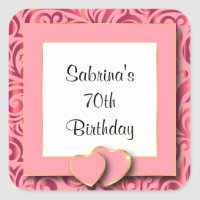 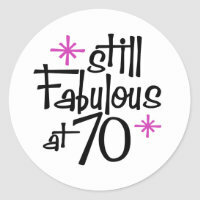 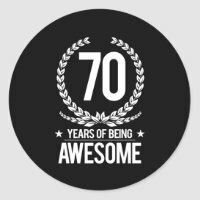 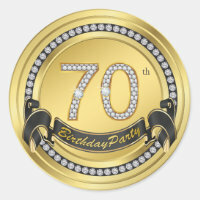 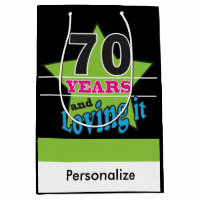 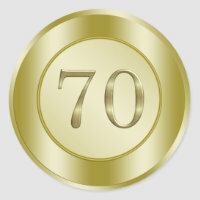 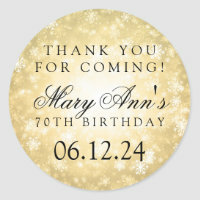 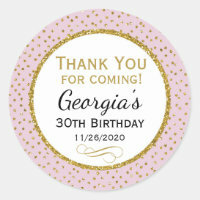 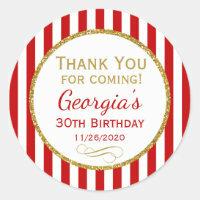 To help you say, "Thank you for coming to my 70th birthday", there are text templates for you easily personalize the three lines of text in the center. 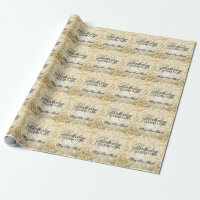 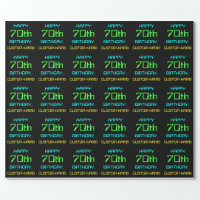 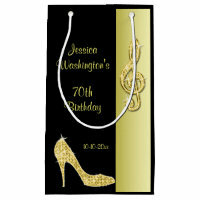 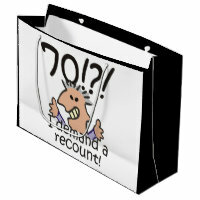 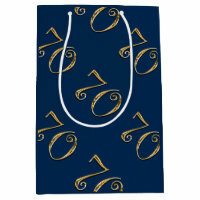 This design is a white and gold abstract background of the number seventy (70) repeated in varied sizes and angles in an all-over collage print. 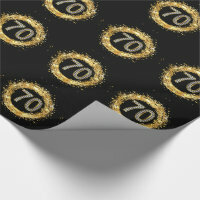 There is a gold band and plaque in the center for your text.